Colleagues, friends and students were present in the Jack and Florence Ferman Library Presentation Room Monday evening for the retirement celebration of Susan Curzon, dean of the library for 18 years. In the entrance of the room a student helper was taping a video memento for Curzon for anyone to say a few words. As guest arrived, each guest took their turn to give Curzon a hug and say a few words wishing her well and congratulating her. Appetizers and colorful notecards covered the tables in the presentation room where guests were able to write a few words to Curzon for a memory book. The walls were decorated with photos of Curzon over the years for people to admire and reminisce as some of the guests joked about Curzon’s different hair styles over the course of the years. More photos were displayed in a slide show of Curzon’s career accomplishments at CSUN which was narrated by Chris Sales, project leader and academic technology. Sales said Curzon was one of his favorite people in the world during his slide show presentation. Marianne Afifi, associate dean of the Oviatt Library, said that throughout all Curzon’s many titles she always has been confident, determined and wise. Afifi said Curzon has significantly contributed to the growth of the library and its mission on campus. 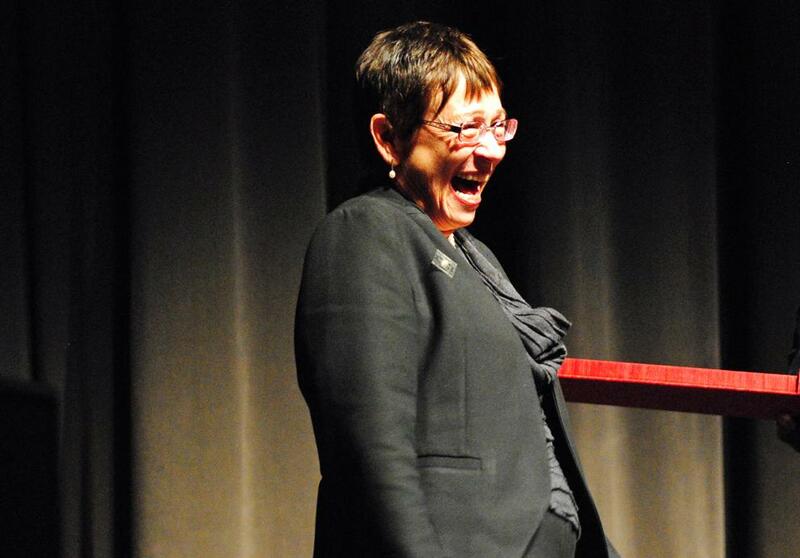 “We all have experienced Sue’s true caring for the Oviatt library, the students, the faculty, the staff, fellow administrators and our community, in short, like her coffee mug actually says, ‘she is to us, wonderwoman,’” Afifi added. Many other colleagues gave speeches saying positive nice things to say about Curzon. Curzon’s Secretary, Mickey Martinez, who after sharing the memory of how they met and began working together said she has nothing but love for Curzon and added that she’ll be missed dearly. Harry Hellenbrand, provost and vice president for academic affairs, said that Curzon sparked the library back to life. 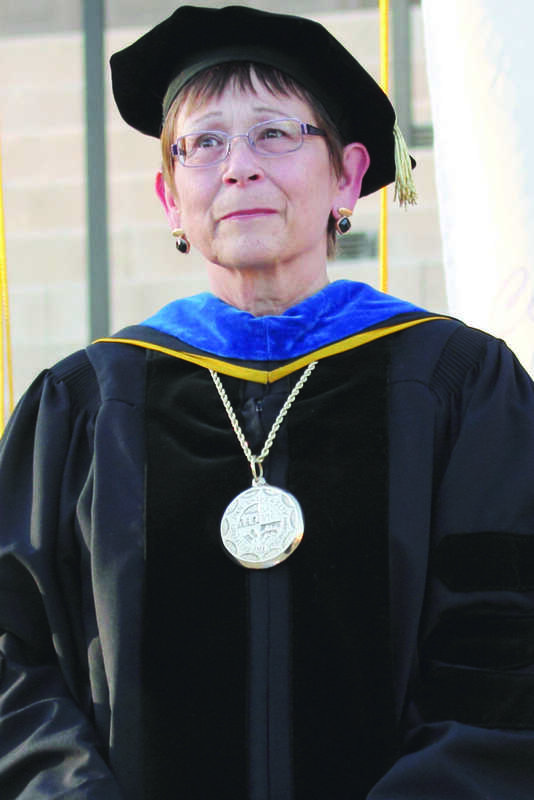 President Jolene Koester, said to describe Curzon is to call her the dean of the deans. Curzon thanked everyone for being present at the event.